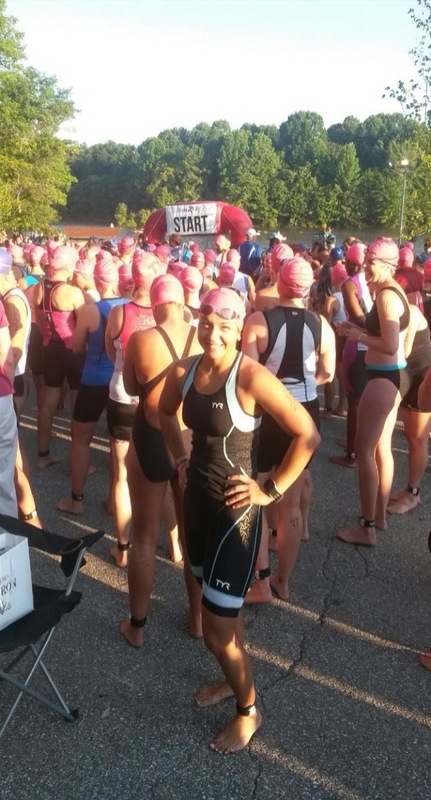 This summer, I took to triathlon training again after taking a three-year hiatus after having my son. Combining masters swimming practices with weekend bike rides and running outdoors on neighborhood trails, I successfully completed a sprint triathlon in August. I had hoped to complete a second Olympic distance race in September, but a busy work schedule combined with kids’ back-to-school activites hampered my training schedule. But I was very pleased with my results–all-time best times–and am continuing my strength training schedule, and logging in adequate bike and run time. With the winter swim season commencing, I will be upping my pool time. Although I didn’t complete a Olympic distance race, I don’t know where I would be without the multi-sport. In each sport, I’ve discovered an element of myself. My mother loves to retale my first swim lesson. In diapers, I was tenacious and fearlessly jumped into the pool. I have always loved the water. Even through the grueling, all-day, year-long swim practices, I feel unexplainably free underwater. And it’s that love that brings me back to the water after a tough practice, a dissappointing race. For years, I mysteriously suffered panic attacks that would frequently materialize in the water. I fought through the panic by making myself stick through long practices, by signing up for long-distance swims, and by competing in open water swims. When the pain became overwhelming, I would sit poolside, practice breathing exercises, and at times shed a few tears behind googles. But I did my best to jump back into the water and finish the set. Why I would endure the pain can only be explained by my love for water. 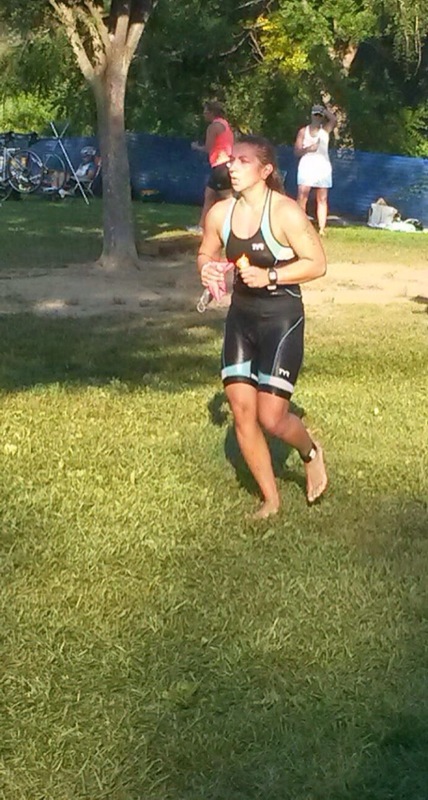 This year, I swam two open water races panic-free. Though I didn’t quite accomplish my triathlon goals this summer, I am more than pleased that I am once again in a happy place, tenacious as hell and fearlessly jumping back into that water. Next Post Step Up. Take Your Mark. Beep.